The book of Hosea is incredibly important as a prophetic book, yet seldom receives the attention it deserves. It seems that many Bible students are unaware that Paul cites Hosea for support of his ministry to the Gentiles, and Hosea is vital to his doctrine of the salvation of the remnant. 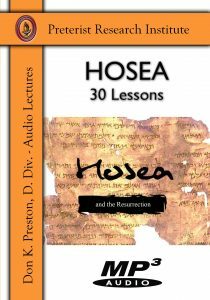 Perhaps most importantly of all, Hosea is one of the foundational texts for Paul’s discourse on the Resurrection in 1 Corinthians 15! 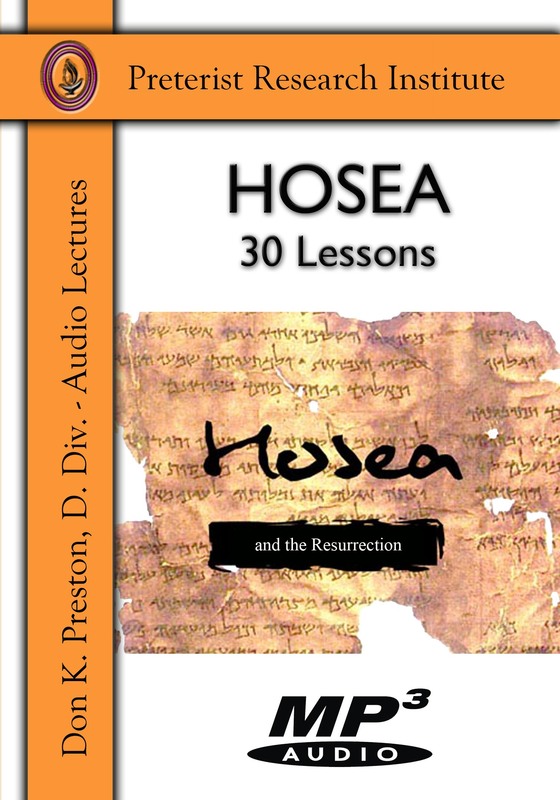 In this important and ground breaking study, Don K. Preston shows that Hosea serves as Paul’s “working outline” for his understanding of resurrection. He cites Hosea (and Isaiah) at the beginning of his discourse and at the end, creating an “inclusio” that would tip off the early readers to understand that everything between the two citations derives it’s meaning and source from Hosea in one way or another. This is a very important, thrilling and convincing study! 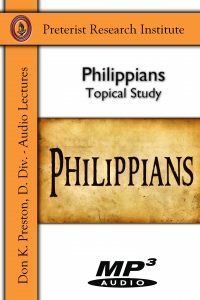 The audio lesson below is a sample from this engaging and amazing study. The book of Acts has been, and continues to be a puzzlement to many. Scholars ponder the purpose of the book. 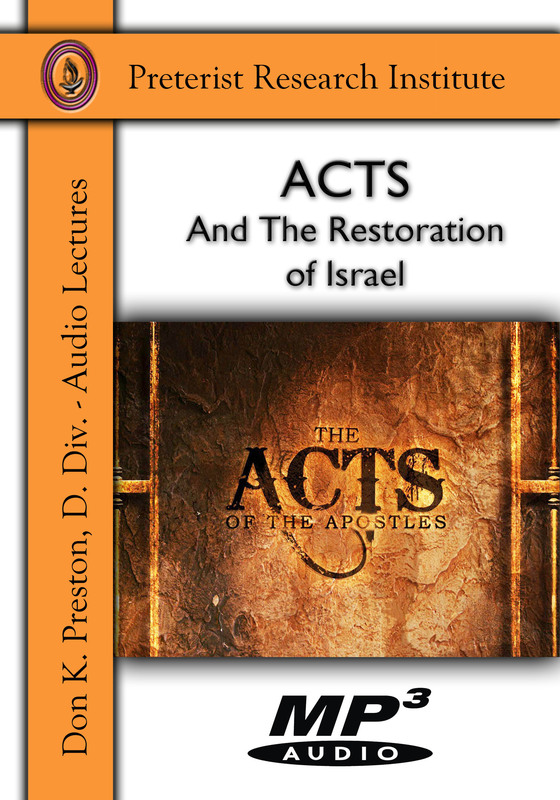 In this 52 lesson, ground breaking series, Don K. Preston shows how Acts systematically presents the story of the Restoration of Israel in Christ and the church. Showing the prophecies that lie behind so many of the stories and events in the book brings this book to life like never before! Those who have listened to this study say it is the most exciting study of Acts they have ever seen. You will never look at the book of Acts in the same way, but, you will appreciate it as never before! Romans 11:25-27 has been the source of tremendous perplexity in the theological world. Some call this text the jost challenging of all of Paul’s writings. The dispensationalist use it to support their idea of a future conversion of national Israel. The postmillennialists use it to prove a yet future conversion of Israel at the end of the Christian age. The amillennialist don’t really know what to do with Romans 11! 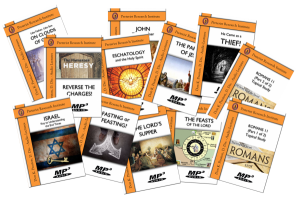 The seven lessons in this study are each approximately 30-40 minutes long and will provide you with enough study material to last a long time! 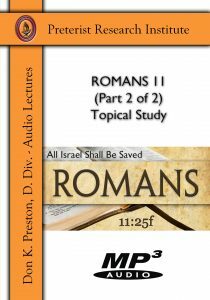 This series proves, conclusively, that the coming of the Lord of Romans 11.25f occurred at the judgment of Old Covenant Israel in A.D. 70. I am unaware of any other study like this, that covers the topics above. This is a great resource! As Paul sat in prison, he penned one of the most inspiring of all of his epistles. In spite of an unjust imprisonment, the letter we know as Philippians (only four short chapters) long, contains the Greek word for “joy” 16 times! How in the world could Paul have expressed so much joy in the horrible circumstance of a Roman dungeon? The secret to Paul’s triumphant attitude was that he knew “No Matter What Happens” neither the Romans or the Jews, or anyone, could take from him what really mattered — his eternal relationship, and reward, in Christ! Can we join Paul today in saying, “No matter What Happens,” we too can and WILL overcome negative circumstances in our lives? Yes, we can! 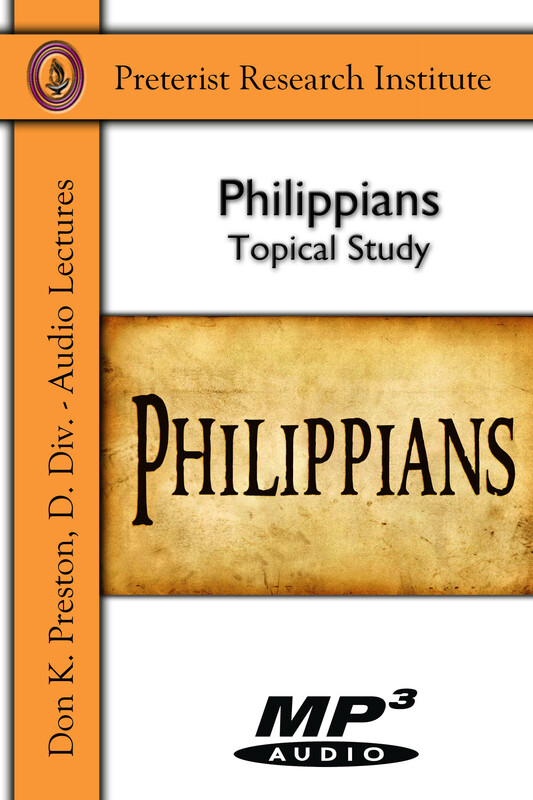 In this inspiring, comforting, and challenging series of lessons, Dr. Don K. Preston shares the message of Philippians that motivated and comforted Paul during his imprisonment. 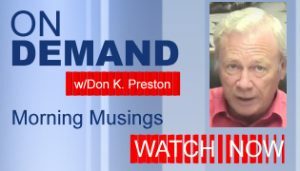 Preston shows that the principles that served as the foundation for Paul’s indomitable spirit are the same principles that can see us through any situation, “No Matter What Happens.” If you want a lesson that will strengthen your faith, give purpose to your life, and that will motivate you to live a greater life for the Lord, then this is the series for you!